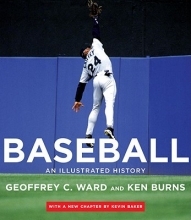 Rereleased to coincide with the PBS broadcast of a new two-part Tenth Inning episode, an updated edition features a new chapter by historian Kevin Baker on such topics as the 1994 strike, the home-run race of 1998 and recent steroid controversies. Simultaneous. Hardcover available. TV tie-in.